The Circuit was design by me, and can be very useful. 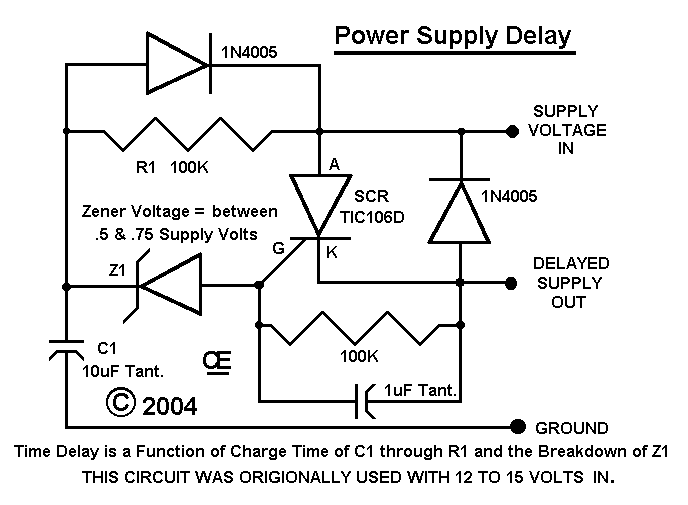 to the entire circuit, the output of the Oscillator gave a Momentary Spike into the output circuit. Thus Driving it full on for a split second. This Circuit connected in the DC Supply to the Power amp, just gives a Tiny Delay. Not sure if it will be useful to others, But Thought I would post it anyway.